Our summer double issue is boiling over with crime and unrest. Two stories feature slices of the recent American past: Bill Cameron’s Vietnam-era “Heat Death,” and Robert Lopresti’s “Shooting at Firemen,” set in the turbulent sixties. 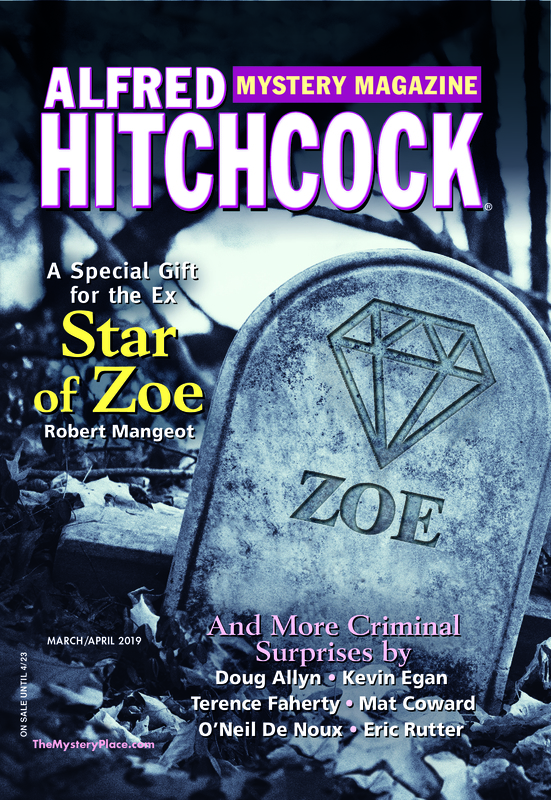 (Check out Rob’s post at SleuthSayers.org for a bit of background on his story.) Similarly, Robert S. Levinson’s “Little Miss Somebody“ turns on a Hollywood mystery from Tinseltown’s Golden Age. Beyond the U.S. borders, Nick Spencer offers a tale of a Peace Corps teacher in Africa who witnesses a field fire where a body is later discovered, in “A Death in the Village.“ Joseph D’Agnese shows that Rome is the Eternal City in more ways than one in “Scintilla.” While on the border, David Edgerley Gates brings back Pete Montoya, an investigator with the New Mexico state police, to dig into corruption in a small town in our cover story, “In for a Penny.” And for a bit of international intrigue, two stories examine the private lives of spies and double agents: Albert Ashforth’s retired spy Alex Klear investigates the untimely death of a colleague in “Tangled Webs,” and a housewife in Janice Law’s “A Domestic Incident” unravels a net of secrets. As usual with the July/August double issue, we are pleased to feature the latest winner of the Black Orchid Novella Award: “Dyed to Death” by K. G. McAbee. Congratulations to the author! AHMM co-sponsors the BONA with the Wolfe Pack. Finally, this issue features the final AHMM story by Donald Moffitt, “A Handful of Clay,” featuring the scribe Nabu-zir from ancient Sumeria. Sadly, Donald Moffitt died just as we were starting to put this issue together. Though he was known mainly for his science fiction, Mr. Moffitt had turned his attention to historical mysteries these past few years. We were delighted to publish them in AHMM and to work with a charming man and all around pro.